Quartersawn white oak isn’t the easiest wood to work, but with experience and an understanding of its character, it is steady and predictable. In gaining that experience, you’ll better understand your own character. The work becomes a partnership between man and material, each helping the other to become something more, something that fits any situation and meets challenges with dignity and grace. When finished and put in place, the furniture contains the memories of the process in the maker and speaks to any who sees it of the effort involved in making it right, and building it to last. There are innumerable ways to spend our time, but very few that have the kind of lasting impact, or rewards that are found in hand crafting furniture. Many original pieces of Craftsman furniture survived because they were too sturdy to break and too nice to throw away. Your descendants may not share your taste and style, but they will have a difficult time disposing of the furniture you make. The physical qualities are obvious, but there are also qualities far beyond the physical. Instead of putting it on the curb, or in the yard sale with your golf clubs or fishing gear, something unspoken will lead them to keep it. Excerpt from “Great Book of Shop Drawings for Craftsman Furniture”. 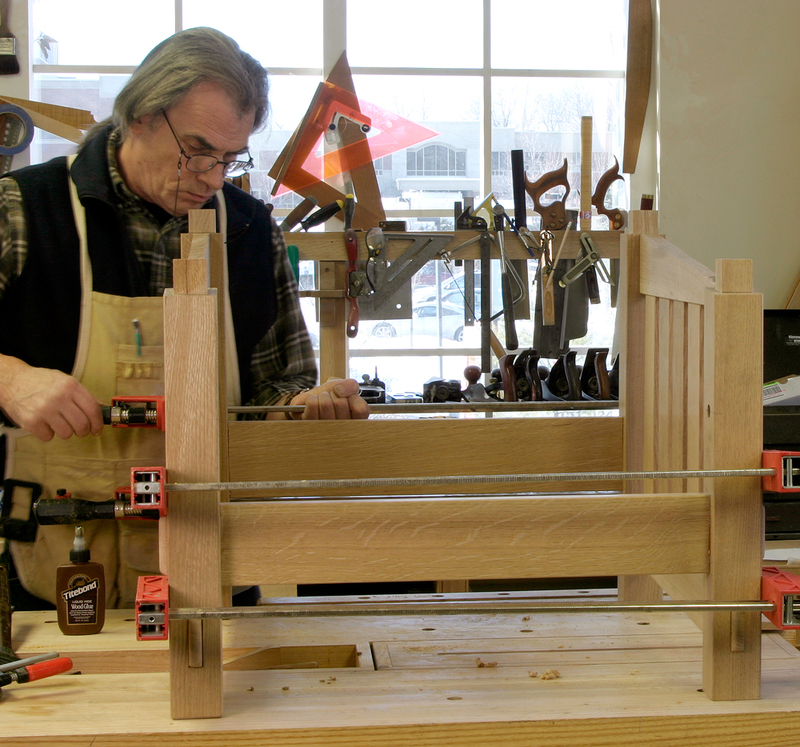 Is it forgivable to use maple or cherry for Craftsman furniture? I think so. Most Craftsman pieces are great and timeless designs, and look good in most decent hardwoods. Originals were most often made of quartersawn white oak, but were also available in maple and mahogany. Unless you’re in a situation where historical accuracy is a must, please yourself and use the wood you like best.